Patricia Sweetow Gallery is looking forward to welcoming Markus Linnenbrink – SUNANDWATERin his one-person exhibition at our pop-up gallery in Oakland. 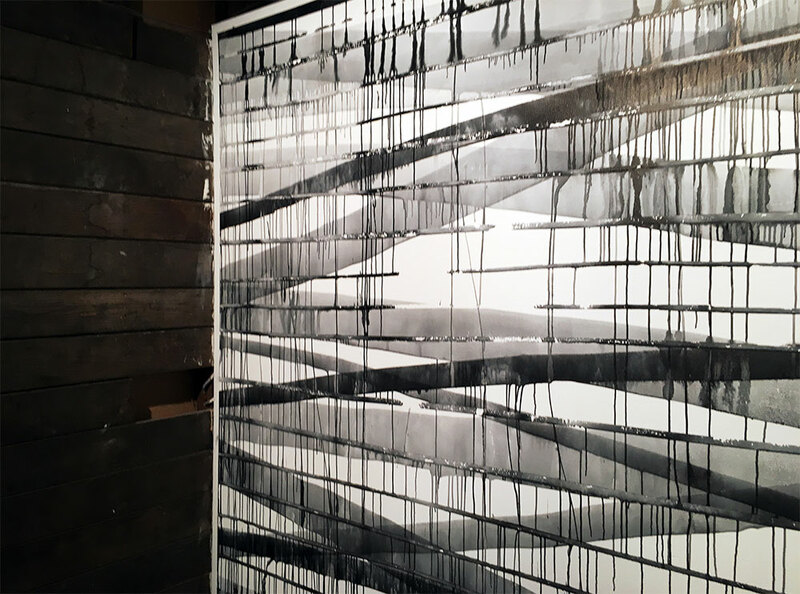 In the main gallery we anticipate drilled, incised and drip horizontal paintings ranging in size from 18 x 96 inches to 48 x 96 inches. In our 12 x 12′ exhibition space Linnenbrink will prepare a wall painting to fit the unique characteristics of the space. In our 3rd gallery space Linnenbrink will present square works ranging from 3 to 4′ squares.